This is the quick start guide to DigiCal. For more detailed help please see our "How do I..." or FAQ guides. Also, feel free to contact us if you need assistance from our support team (digical@digibites.nl). DigiCal is available in 27 languages so make sure to check if your native language is available! Click here to see a list of all currently available languages and how to switch between them. Usually you don't need to set anything up as DigiCal makes use of the native Android calendar syncing system. Most users will already have done this already so their existing calendars will automatically show up when they open DigiCal for the first time. If this is not the case, or if you have never created a calendar before, you will first need to sync your calendar account to your Android device. When you use DigiCal, you can then select which of your calendars to sync and to display. If you end up having issues getting your calendars to show up please check the troubleshooting page. Via the hamburger menu in the top left corner of the DigiCal app you can browse through our 7 different calendar views (Day, Week, Week Agenda, Month, Text Month, Agenda and Year). Tap around and see which one is your favorite. You can choose your default view by tapping the star to the right of each view's name. Each calendar view also comes with a set of intuitive touch-based shortcuts. We've collected a handy overview page of all the calendar views. If you would like to learn more about one particular view and its shortcuts, just click on its individual calendar view link. Set a light or dark theme by going to Menu > Preferences > General > Theme. DigiCal's default primary color is DigiCal Blue. You can also set Rich Black as your primary color. DigiCal+ users get access to the whole premium set of 42 additional colors. Primary colors can be set via Menu > Preferences > General > Primary color. Create amazing widgets on your home screen for easy access to your day's events. Choose from 6 different widget types: agenda, day, day list, day grid, *text month, *month (*only available in DigiCal+). You can also choose from 9 pre-set themes or create your own widget with the customizations options. If you are unfamiliar with adding widgets to your android home screens please read our tutorial on how to create, re-size and delete a widget. To learn how to add widgets to your lock screen please go through our lock screen tutorial. We've created an overview of all 6 widget types. If you would like to learn more about one particular widget type, just click on the individual link. We have created a guide on how to take advantage of all the extra features of creating an event within DigiCal, such as cross time-zone scheduling and inviting people to your events. Add your own events: Each calendar view allows for easy adding of new events by gesture shortcuts as well as through the dedicated 'New events' (+) button. You can easily add a location to your event in DigiCal. All you need to do is to type in the name of the place (cafe, store, park, etc. and DigiCal will look up the address and save it to your event. Alternatively, you can also search by address via the Google Maps view or enter your own unique address. After adding the location to your calendar event, Google Now (Android 4.1+) will know where you’ll need to go. It will keep an eye on the current traffic, plan your route and notify you when you should leave. We always recommend our users to categorize their calendar events using different calendars and colors. This will help keep your appointments organized and easier to find. Get started by reading our help page on how to create different calendars using the web interface of Google Calendar. From version 1.2.0 and up, Google Calendar users will be able to two-way sync event colors. This means color changes you make in the DigiCal app will be visible on www.google.com/calendar as well as on other devices. 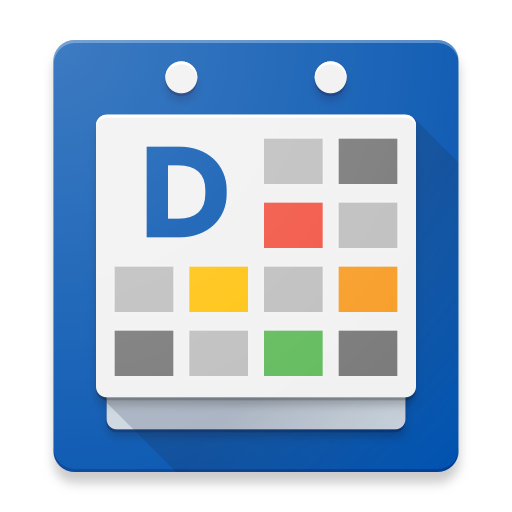 When the colors are changed elsewhere, the Google Calendar server will also apply and display these new event colors in DigiCal calendar and widget views. 11. Add the weather forecast to your calendar! DigiCal users can enable worldwide weather forecasts in all calendar views and all types of calendar widgets. Just insert your desired location in the dedicated weather page and you are good to go. Free: All DigiCal users get 3-day weather forecasts free of charge. Find out more about the difference between the free and premium weather subscriptions here. Be sure to visit our Getting started guide: weather forecasts on how to set up your weather information. Customization options for the main app such as hiding week numbers and changing the font size in Text Month view. Choose which calendars to display in your widget. This allows you, for example, to have 2 separate widgets on your homescreen: one for your work events and another one for your personal events! And many new DigiCal+ exclusive features which will be released in the near future! Visit our help page explaining how to upgrade to DigiCal+. How do I sync DigiCal with my calendar servers (Google Calendar/ Outlook.com/ Windows Live/ Hotmail/ msn.com/ Exchange)? How do I upgrade to DigiCal+?